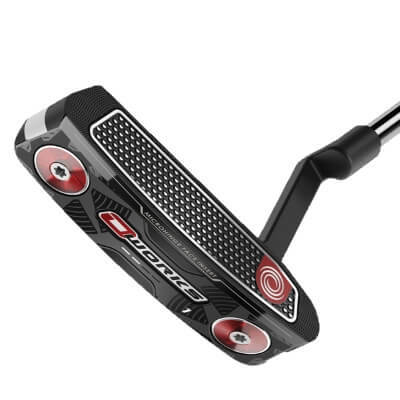 On this page you’ll find our detailed Odyssey O-Works Putter Review, the pros and cons, and a side-by-side comparison with other putters we have recently reviewed. Few golfing brands made a bigger splash at the start of 2017 than Callaway. They grabbed a lot of headlines with the launch of the Great Big Bertha Epic driver, but simultaneously whet our appetites with the revelation that the Odyssey O-Works ’17 flatblade would now be seeing the light of day. We reviewed the Odyssey O-Works Putter as part of our Best Golf Putters Review. 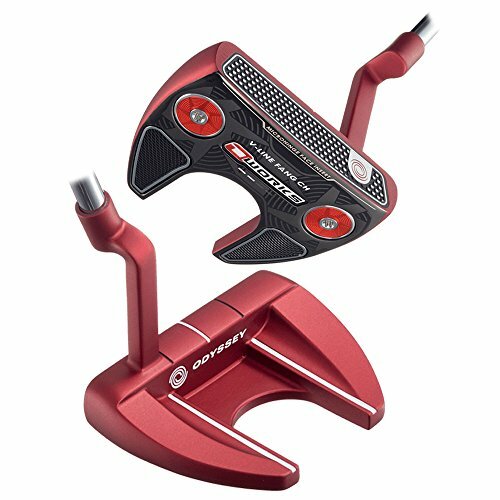 If you already own the Odyssey O-Works Putter please leave your review in the customer review box at the end of this article. How on earth are they going to keep stock levels sufficient enough to fulfil demand? That’s the biggest headache Odyssey will have in store this year, because these putters are simply exceptional! The Microhinge face insert defies the natural trade off between feel, distance control and feedback. It’s the perfect combination of all three, yielding terrific consistency. There are plenty of putters to choose from within the range too, and each and every one exudes pure class and beauty. Get involved – as soon as you can! Cutting-edge Microhinge Insert Technology is surely the leader of its field to date. Great control, soft feel yet still a solid, feedback-providing sound. Classy, aesthetically-pleasing designs across all models. For 220-odd bucks, you’ll struggle to beat this for value. It doesn’t have… ha, just kidding. No holes to be poked here folks. Obviously the signature feature is the Microhinge Face Insert Technology, so let’s start there, shall we? It comprises inverted L-shaped stainless steel hinges, which are co-molded into the Thermoplastic Elastomer Feel Layer. These flex gently at impact, and the theory behind it is that this imparts top-spin on the ball quicker, which in turn gets the ball rolling sooner, rather than jumping or skidding off the blade. The other feature of note is the Versa Alignment technology, which, optically, is displayed via color contrast between dark and white, along with red alignment lines (and/or dots). There are subtle variations with the latter across the different models, but all in all it’s a good, simple and effective alignment aid and I just couldn’t miss from six feet. The last bit of technology lies within the sole, which has 15g removable weights. I’m not necessarily convinced many people will feel the need to balance and counterbalance the head by fiddling with these, but what Odyssey have done is highlight these with surrounding red circular patterns, and, frankly, they look like they belong. I’m always a bit wary with face inserts. For me, ‘feel’ isn’t just about the feel you get at impact, because sound is just as important a determinant as to the quality of strike. And inserts are, by and large, soft in feel and dull in sound, which doesn’t give you much in terms of overall feedback. 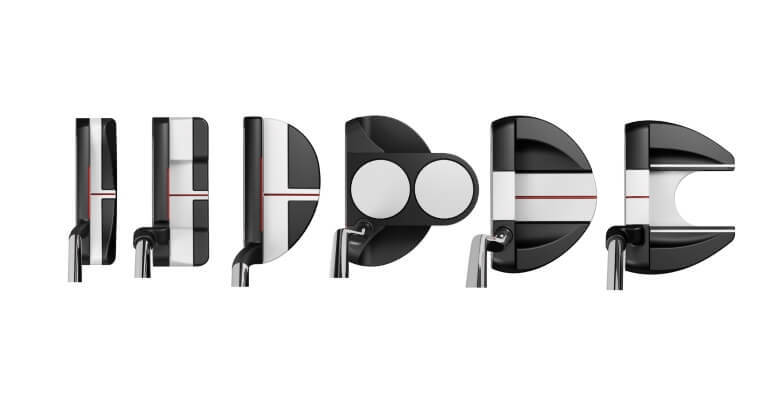 But the stainless steel hinges of the O-Works face insert provide the sort of ‘clout’ you’d associate with steel-faced putters, and, ultimately, the reward is a clearer, more significant sound – yet one which is still in tune with the feel at impact. It’s a significant innovation which should win over a lot of sceptics (like me). Don’t get me wrong: the feel is still softer than average. But I think they’ve got it just about right, and I found the roll to be incredibly smooth, true and consistent. Even with the two-ball, which I tend to find a bit cumbersome, I was able to get into a good rhythm in terms of distance control. And as I said above, there were just no issues with alignment whatsoever – the face almost squares itself at address. Here’s a little fun fact too: Phil Mickelson used a blacked-out version of the Microhinge as long ago as the Ryder Cup, and he made a whole lot more than he missed at Hazeltine that weekend. So you can say with a high degree of confidence that the technology behind these putters has been stress tested in the extreme, and still produced the goods. As a result, I think we’re going to see many more success stories with these putters at the top end of the game (and lower down!). There are 11 models to choose from, and you’re pretty well covered in terms of blades, mallets, mid mallets and any other variations you could concoct in your mind. Of the more recognizable ones, the #1 model is your stock-standard, rounded heel-and-toe shaped blade, while the #2 follows a similar template, but is squared off. The #7 is the modified mallet with weighted alignment wings, and is my personal favorite. Headlining the mallets is the unmistakable two-ball putter, with full-shaft offset and a double-bend shaft. It also has the all-black head which creates a better contrast for the two white dots. In truth, they’re all superbly designed, and so easy on the eye. The mixes of silver and black as a finish against a dark background ooze class, and although the red for the alignment aid perhaps looks a tad out of place, it does complement the red detailing on the sole of each model nicely. It’s interesting how price tags can affect your thinking. 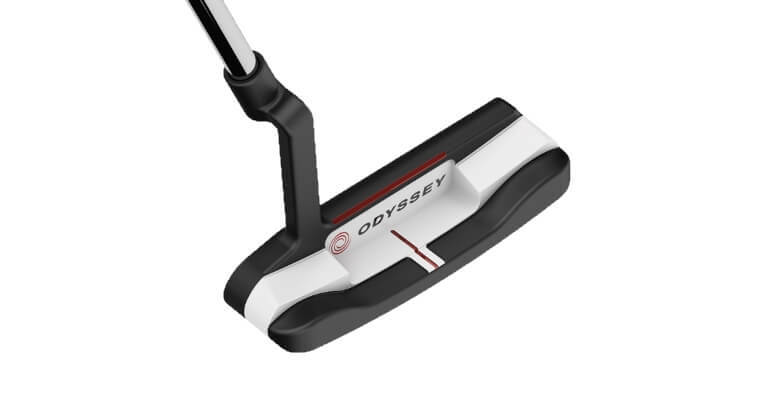 I saw that each model came in at $229 – a price that is in the mid to upper echelons of the market – and went in trying to find out why a market-leading brand like Odyssey wasn’t charging more for a series of putters in which they have kicked up a fair amount of fuss over. There had to be something amiss, or less than exceptional, right? Well, the witch hunt was fruitless, and by the end I was simply blown away with the Odyssey O-Works. Buy one of these and you get to feel like a million bucks for a cost of just 200 or so. If that’s not a bargain, I don’t know what is.